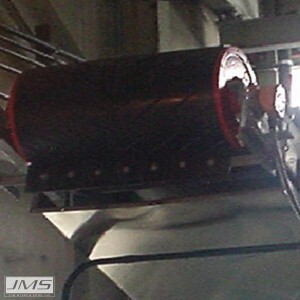 Since the nineteenth century belt conveyors have been used as an effective method for transporting bulk materials, and are now one of the most widely used and efficient means of transporting compactable and granular solids. 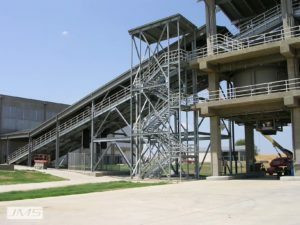 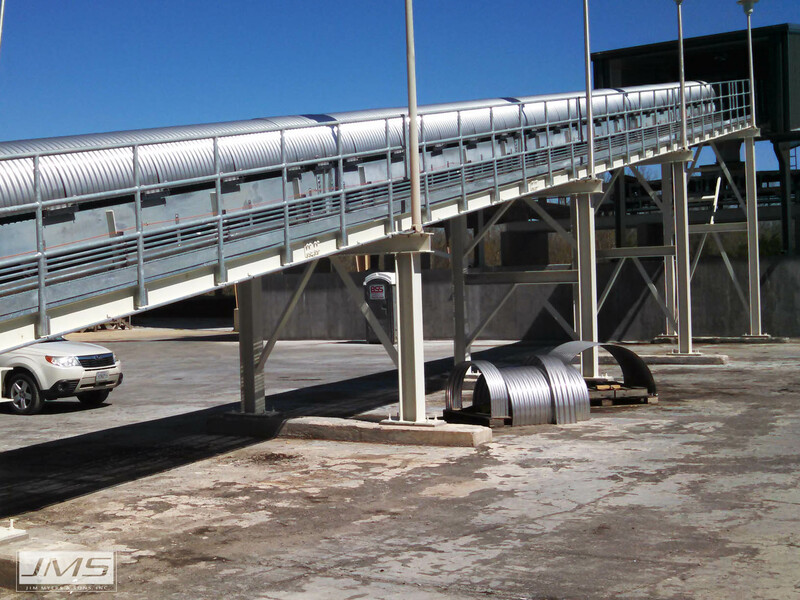 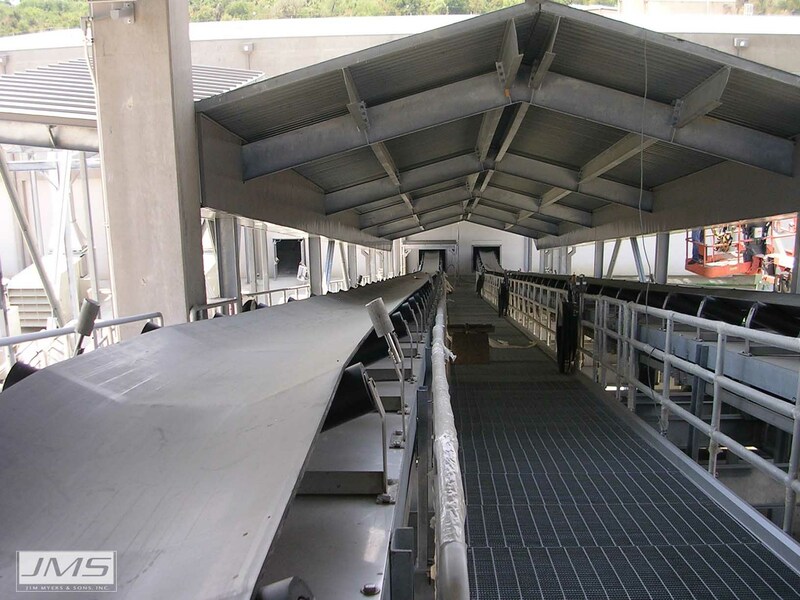 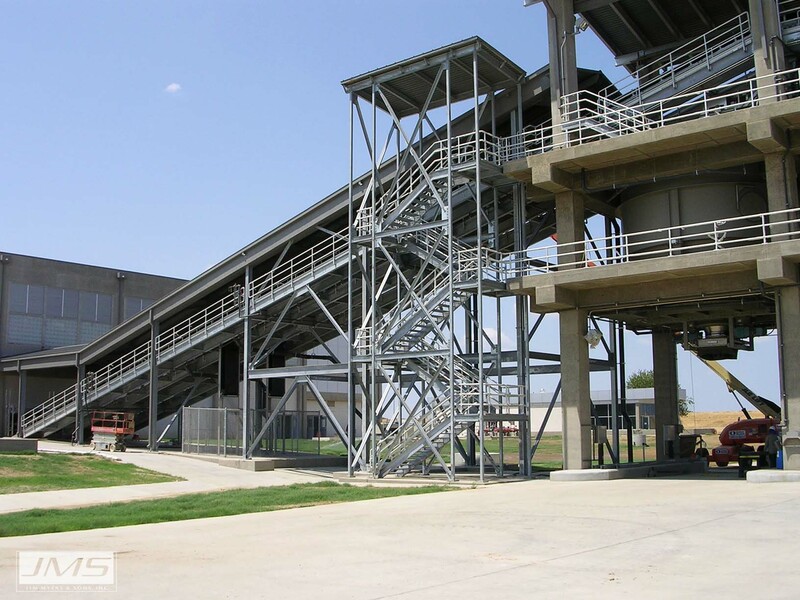 Water and wastewater treatment facilities have made good use of this type of conveyor for transporting dewatered biosolids, sludge, screenings or grit. 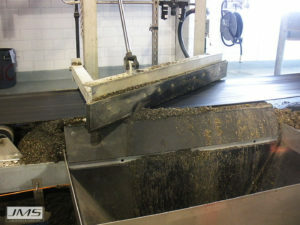 Dewatered sludge cake can consist of wastewater plant biological sludge from the treatment of municipal wastewater, or dewatered water treatment plant sludge. 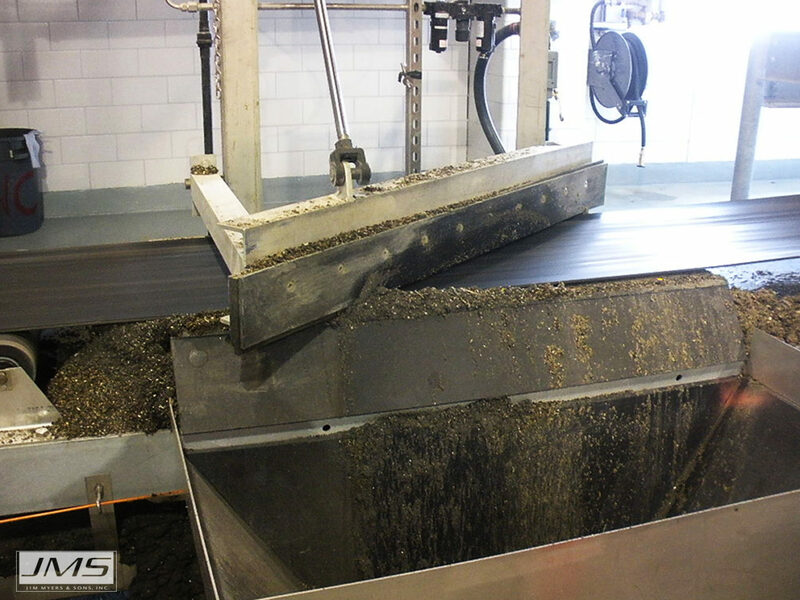 Dewatered sludge cake solids content ranges from 10% to 30% solids depending on the dewatering system used. A properly designed conveyance system with the ability to handle the special characteristics of sludge is critical to effective transport of material through the process. 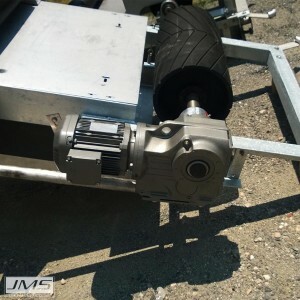 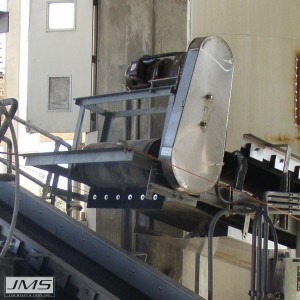 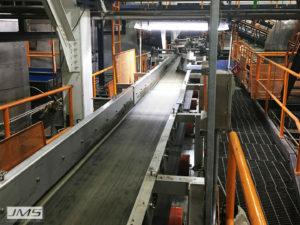 The extensive use of stainless steel in construction, including platforms and structure, of JMS Bio-BELT (Belt Conveyor System) makes them a great choice for any industry conveying corrosive material.JMS can specially design a custom conveyor or full system to meet the needs of your process. 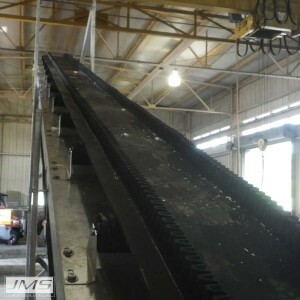 Why use a Belt Conveyor? 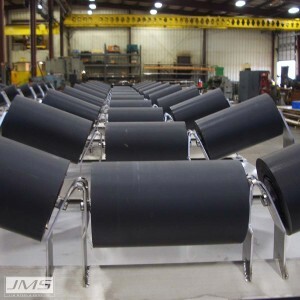 JMS Bio-BELT (Belt Conveyor Systems) are designed by engineers who specialize in equipment and systems for the water and wastewater industries. 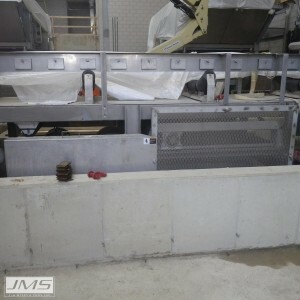 Their knowledge allows them to provide custom solutions that can save both dollars and man hours. 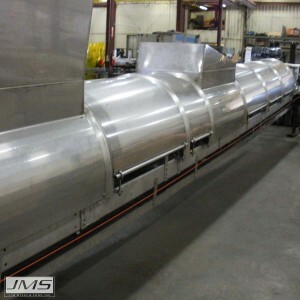 JMS Bio-BELT conveyors are manufactured to accepted CEMA standards, taking advantage of JMS half century of design and manufacturing experience. 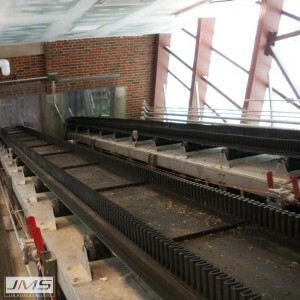 In addition to the typical 18 to 48 inch widths used in wastewater applications, JMS can design and manufacture custom conveyor configurations or full systems to convey, store, load and unload material. 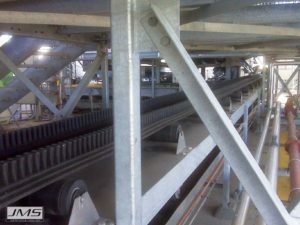 Want to learn more about belt conveyors watch this presentation on belt conveyor basics. 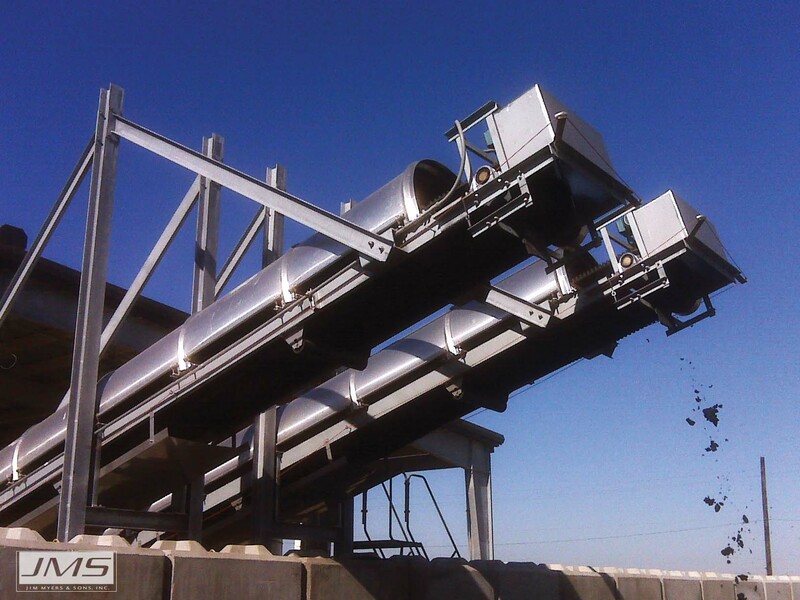 Represent the most cost-effective option available and are ideally suited for straight runs, long conveyors, or conveyors with plows. 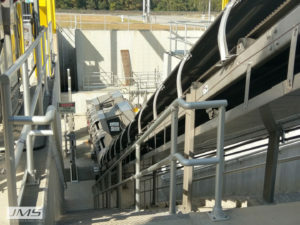 Used when transitions from horizontal to incline are needed. 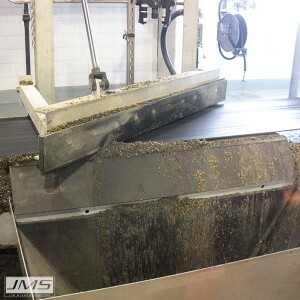 Walls act to contain the material throughout and eliminate the need for skirtboards. Cleated belts with sidewalls allow for inclines greater than 30°. 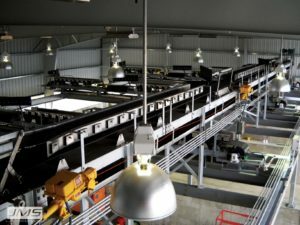 Located in the busy triangle between Columbus and Cincinnatil is the city of Xenia, Ohio which derives its name from the Greek word for hospitality. 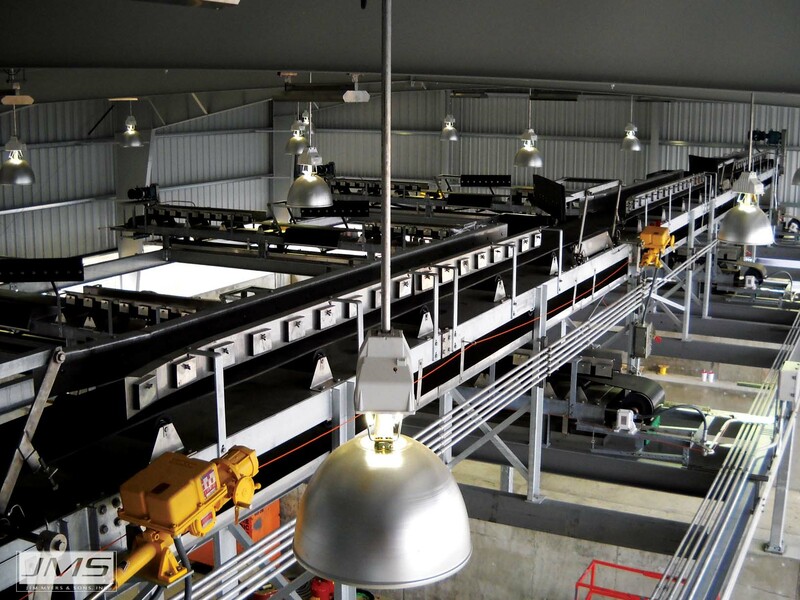 Founded in 1803, it is now home to more than 25,000 residents, and a hub for manufacturing. In 2006 Greene County put together a master plan for area wide water management in the Little Miami River Basin, taking into account future population growth. With the help of engineering giant Hazen & Sawyer, a specific plan for the Ford Road Waste Treatment Plant was designed. 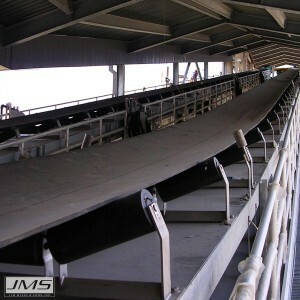 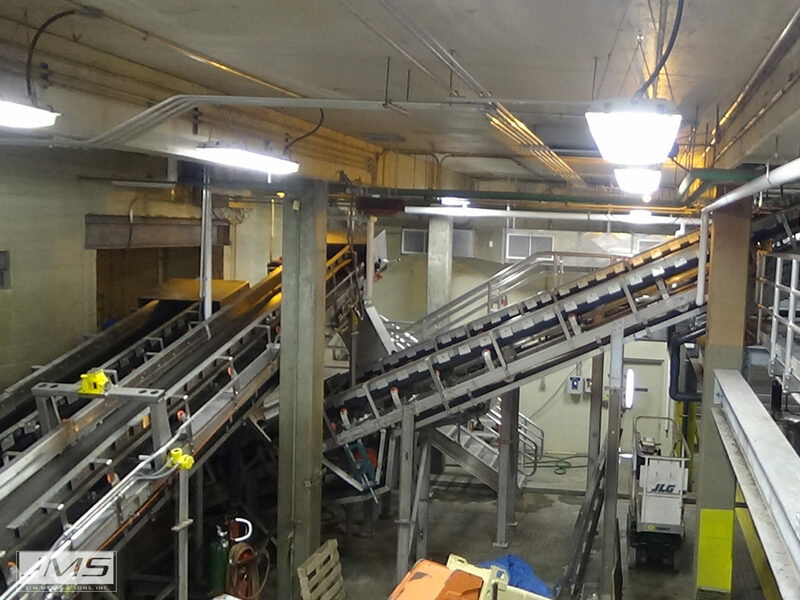 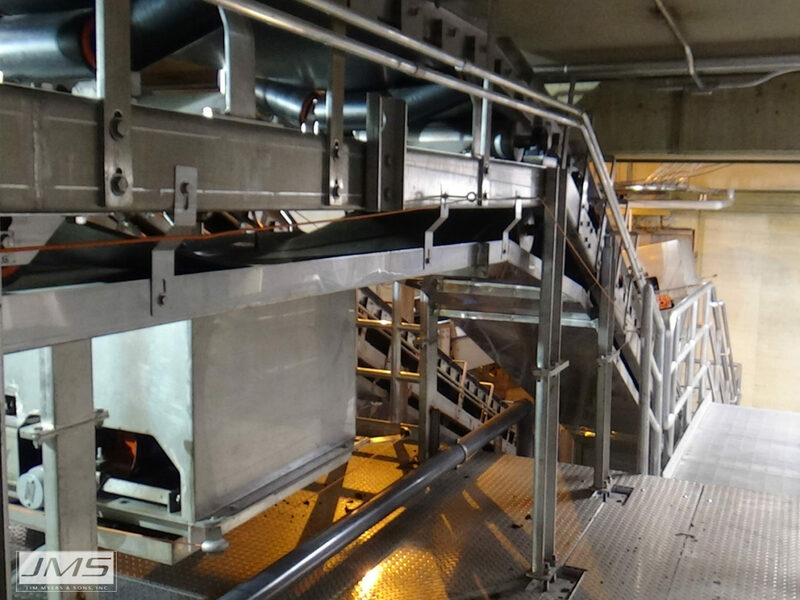 JMS was asked to participate by supplying a Distribution Bio-BELT (Belt Conveyor System) with diverter, and four Reversing Bio-BELT (Belt Conveyor System) cross conveyors to distribute biosolids within the storage facility. Seven years after installation, all conveyors are still “going strong”. Eddy Walker, Wastewater Treatment Supervisor, and longtime employee, praises the low maintenance requirements and excellent reliability of the JMS conveyors. 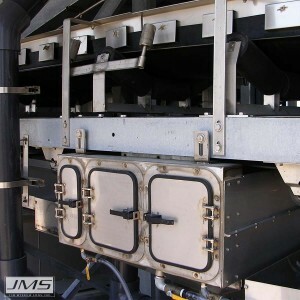 His experience with JMS customer service has been outstanding, and he would not hesitate to do business with JMS again in the future.